working away Going into hospital, for any reason. 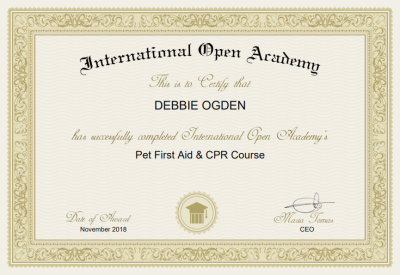 I am fully trained in Dog First Aid and CPR. also at present training as a Veterinary Support Assistant. We are situated in Sandymoor, between Runcorn and Warrington with excellent transport links from Runcorn, Runcorn East, Warrington Bank Quay and Warrington Central to Liverpool, Manchester, Chester, Leeds, London and beyond. Which is why so many Celebrities choose to board their precious little ones with us. 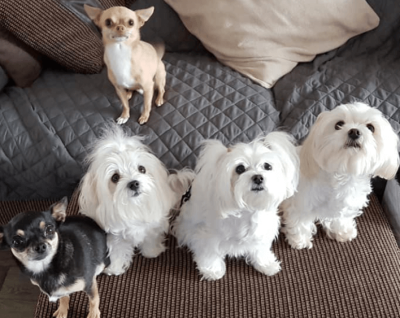 We offer a loving ‘home from home’ environment for Toy and small breed dogs We have a large fully enclosed and secure garden and provide full, undivided attention to a few select guests in a home designed for the safe care and comfort of small dogs. Hugs snuggles, love & tummy rubs given in abundance around the clock! This is why we don’t leave your dog alone and why we keep them stimulated so when they are picked up they are excited to see you but are calm and balanced. At The Tiny Paws Pad we offer a loving ‘home from home’ environment. We have very limited availability as we pride ourselves on our devoted and individual attention. If you are going on holiday or just a long weekend away, book your little ones in with us. To secure a booking, a 50% non-refundable deposit for first time customers (25% non-refundable deposit for regular customers) is required. Your booking will ONLY be considered confirmed once this deposit has been paid. If you are at all nervous about leaving your pet for an extended period, we also offer trial visits (typically, a 2 hour session will be charged at £10 for 1 dog plus £5 for each additional dog and £5 per dog for each additional hour). 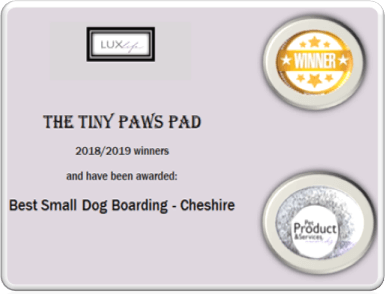 BEST SMALL DOG BOARDING IN CHESHIRE"
I am so glad i came across The Tiny Paws Pad and Debbie, my furbaby was totally spoilt loved and he totally enjoyed his stay here, I was sent photos and videos of him playing with the resident Maltese who i have to say are the most desirable little dogs ever. So clean and pampered so i knew this would be the place for my baby. I was so right he came back groomed and smelling gorgeous so much so i asked what it was that was used on him and bought it myself. When we got him home he slept so much he was totally exhausted through playing with his new found friends.. Debbie is the most caring and kind person i think i have ever met and she made the stay so easy for us. She knew we were stressed about leaving him and she reassured us that he would be fine and she would keep us up to date throughout his stay. she kept her promise and we really looked forward to seeing our boy enjoy his holiday. Thank you Debbie you are a 5 star lady and we will see you later in the year. I was told of Debbie and The Tiny Paws Pad by an acquaintance when they found out i was looking for a 5 star holiday home for our pup. Polly is our baby and we only ever want the best for her. she is 4 months old and a bundle of love and fun. I rang Debbie to find out more and immediately she put my mind at rest, There was also a question i had to ask and didnt know if she would want to get into, I am a very well known Celeb and i didnt want people to know that Polly was going to be staying there and i had to ask if she would sign an agreement, Debbie was most agreeable to all of that and said she totally understood, people would not know from her or her husband that she would promise us. So we arrived Pup in hand to meet her and those gorgeous little bundles of fluff she has. Polly couldnt wait to play, Debbie did say "please ignore the barking and noise at first its what they do but it will soon settle" it did and all were happy with each other. We had a cuppa and watched them running round the garden, we discussed what I expected as far as Polly was concerned and Debbie was only to willing to agree to do anything we asked. Have we come across an Angel here? Polly was booked in papers were signed and Polly has had her first visit. We couldnt be happier we received videos photos the lot, we could see how Polly was settled and loving life. I think we will be booking in to stay ha ha Thank you so much Debs you are a star and we love you. Thank you for keeping our identity quiet and not posting photos of Polly etc Yes i would def say we can trust you 150% and more. Polly is now booked in later in the year for her holidays and also the odd 2 to 4 days here and there while we film, what a relief to find this gem of a place. Debbie goes above and beyond what is asked of her. EXCEPTIONAL !!!!!! PLEASE DO NOT MISS THE OPPORTUNITY to board your special little fur babies here. I was very anxious about leaving mine both were rescue and both had an awful start in life which made them very nervous and not very good with other people. Bobby is 5 yrs old and Alice is 2 yrs old. Debbie made me feel at ease straight away, she said hello to them both and they did go to her, but after that she didn't fuss them she let them do what they wanted to do. The house is lovely very clean and very dog friendly as is the garden it is large and secure just perfect. I made arrangements to leave them for a couple of hours so we could both see how they reacted and if they were happy if Debbie was Happy her Maltese were happy and also if i was happy. Within 10 mins i received a video to show me how they were and i was amazed they were running round the garden playing with Debbie's gorgeous babies and really enjoying themselves, after receiving that i relaxed and went and got a coffee it was to far to drive home and then drive back, but tbh i would drive hours to leave my dogs with Debbie. I am so pleased i found The Tiny Paws Pad, This is the best pad i have found for my babies. I used to put them else where but a friend said to try them because she had heard good reviews. They are more than i am used to paying and want to pay BUT like everything you get what you pay for there is absolutely NO COMPARISON. The Tiny Paws Pad is way above the rest and when worked out it probably only costs approx £10 a week more which is nothing. My Babies were treated like royalty and loved the way i love them. Debbie is amazing she deserves a medal. 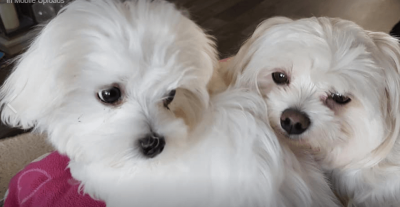 Her 3 gorgeous Maltese are beautiful and except all the dogs that are coming into their home. If i could give you more than 5* i would. They will def only be coming to you from now on which is why i will be booking them in asap for next year i don't want to run the risk of you being full. 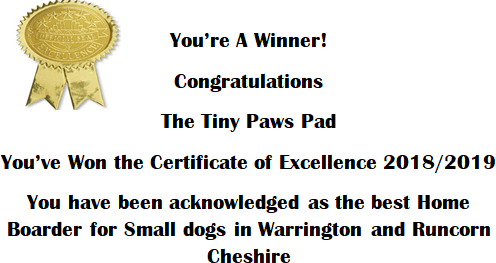 So thrilled to have found Debbie and The Tiny Paws Pad! Left our fur baby Bruce for 4 nights whilst we went away, it was great to be able to enjoy our break knowing he was happy. Debbie sent regular updates so we knew he was happy, having fun and getting lots of cuddles! Would definitely recommend and know Bruce will be back to visit again soon!! Thank god i found Debbie she is an absolute star. I was offered a job in London and it was one i have been waiting for to come through for ages. Debbie came to my rescue and looked after my Zuchon puppy. I have never left her before so obviously a bit stressed over it. Debbie made the whole process quick and simple and gave me confidence straight away that she was the girl for me. I will be doing Panto in November and December and Debbie will have mu baby for me with out doubt i couldnt and wouldnt trust anyone else. Debbie has put my mind at rest and i know she will love my pup and look after her. 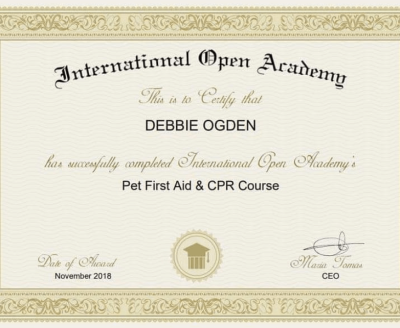 Debbie is also very very trustworthy and will keep my identity quiet as well as my pup, this is very hard to find in my industry, you can safely say she is a god send Thank you Debs i really don't know how i would cope without you. So sorry it's took so long to write a review I hadn't got round to doing it. but here goes. We left my mums very shy cavachon with Debbie for over two weeks. Indie is such a nervous dog and does not like change. However she really enjoy herself at Debbies house and settled in very well apart from causing quite a bit of chaos with accidents during the night. But Debbie sorted all this out for her and took the time and the effort to make sure indie was as settled, Indie also took an instant love to Debbies husband which is very shocking as she usually hates men that she doesn't know. Would like to just say a massive thankyou to Debbie and her husband and the tiny paws pad for all that they have done for our loved indie. And would recommend her to anyone. I was given Debbies name through a colleague at a set we were on together. Im so pleased that I was, she is amazing and my Bo loved her so much. Bo is a spoilt baby and gets his own way all the time but he listened to Debbie from the get go. Bo loved his time with Debbie and her 3 Maltese. She even got him to sit for a treat! Debbie offers a wonder service not only does she look after and care she actually LOVES them you can see it in her eyes. I would have no doubts whatsoever in recommending her. I think with the service she provides she should double her price it would be worth every single penny. Harley has been staying at The Tiny Paws Pad for his holidays, whilst we had ours. I cant speak highly enough of Debbie and her care for the little doggies. When she says they become part of her family they really do. They are treated exactly the same as her own 3 gorgeous immaculate dogs. Harley came home smelling lovely as well not like the usual smell you get from a boarding place. 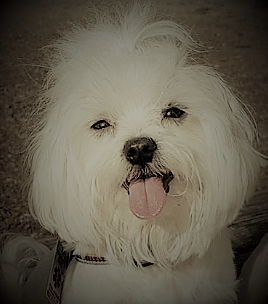 We really shouldn't of been that surprised as Debbie's home is immaculate in future i will get him groomed before he goes so he doesn't look like a poor member of the family lol We are used to him coming home smelly but now we know he wont its a different matter. 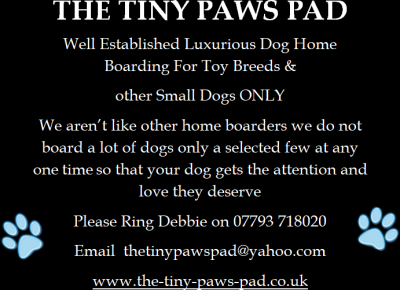 We will be recommending The Tiny Paws Pad to everyone we know with little dogs, you really cant beat this place. We have booked him in already for next year so we don't miss out.. Thank you again Debbie you have been a star letting us have pictures and videos of him i think that is such a lovely touch because you know how we all feel about our little babies. Debbie and The Tiny Paws Pad were recommended to us by a friend, I am very pleased she did. Debbie looked after my Chi Puppy for a day’s trial, All through the day we received texts and videos showing us how she had settled in. Our Pup obviously loved Debbie and vice versa. We will have no hesitation in the future using Debs Services. Our Pup thoroughly enjoyed herself and slept on Debbie for their down time. Debbie has a knack with dogs I have never seen before and we are very pleased to be registered with her. My boys had the best time staying at Tiny Paws Pad. They love Debbie and her other little dogs and I was completely relaxed about leaving them there. They got spoilt with cuddles and love and even had some holiday romances with Dotty and Pixie. I would without a doubt use her again (and they’re already booked in) and I would recommend her to any other dog mad people who have toy breeds. It’s the perfect place for them to stay! Oh and you get plenty of pictures and videos so you don’t miss them too much! 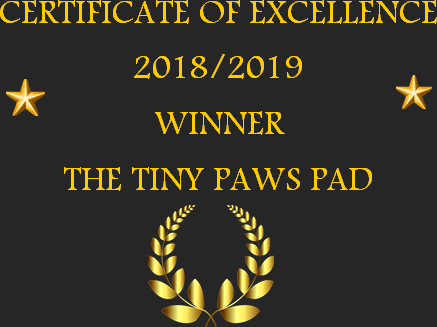 Tiny Paws Pad is a home from home for any Tiny dog or pup . 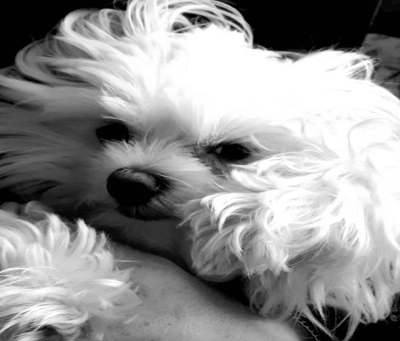 Debbie is both caring and loving so much that your Pet will not want to go home - glowing 5 star treatment . Thank you so much for having my 2 mini Dachshunds. I worry so much about leaving them and i would never leave them with large or medium sized dogs. Their backs are very sensitive and can easily get hurt. I am so pleased i was told about you, even though it took us an hour to get to you it is so worth it not having the stress or worry when we are away. You are the best we have been to and your love of dogs is obvious. What can i say ? Thank you so much my Tiny Chihuahua was looked after like a little prince. I have tried a few people who home board and i suppose the saying goes you always find the best last is correct here. Debbie loves dogs and they love her. She lets them sleep on her bed they are allowed on the furniture, and i don't have to worry about there being big dogs around. Thank you so much and i will be back later this year.. IN ONLY ONE WORD "FANTASTIC"
I have 2 Maltipoos who are my babies, i have never left them anywhere but i have to this year which is killing me, i was told about Tiny Paws Pad and went for a Meet and Greet which they loved, they were in the garden playing with Debbies 3 Maltese they were really enjoying themselves. It is obvious that Debbie loves her dogs and others she kept talking to mine and cuddling them which was lovely. I have left them there for a weekend now and i can honestly say they were as happy as anything. Debbie got them on skype for me so i could see them playing and they wasnt missing me at all lol ... I have now booked 2 weeks for our Holiday and i know that they will be truly loved. 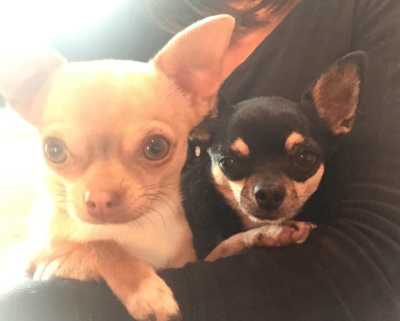 Thank You Debs, for having my 2 little devils for the weekend they really enjoyed themselves and slept so well the day we picked them up they must have played all day everyday with your adorable pups. I am so happy about finding you because it is really hard to find somewhere that actually loves and looks after them. A lot of people do this for the money, but you can see how much Debbie loves these dogs and will bend over backwards to give them what they want, she really makes you feel comfortable and i will not leave my dogs with anyone else now. I have a Mini Dachshund who loves Debbie more than me i think ha ha ha he is so excited to see her and she always makes a fuss of him as she does with all the dogs, i was amazed at how the dogs look at her as if they completely trust and love her it really is something to see. Her dogs are adorable and and after the initial im the boss your the visitor type of thing they do, peace was restored and play commenced. I do worry about my little boy their backs are quite fragile but Debbie knew exactly how to handle him and support him. i am so impressed i will be shouting this place from the roof tops, only problem there is it could backfire on me and i wont be able to get him in. Debbie has reassured me though that if i give her enough time her early customers she will do what she can to get him in. Thank you Debbie you are simply the best. I have a 4 month old yorkie and i had to go away and couldnt take him with me i was beside myself i didnt know where to go i didnt want to put him in a kennel he is so Tiny. I was telling a friend and she mentioned Tiny Paws Pad so i gave Debbie a ring to see if it was possible for her to have him for a week it was rather short notice, there was no hesitation we arranged a Meet and Greet and that was that, the week after he was there as a member of her family getting spoilt and loving every minute of it i spoke to Debbie every day and she sent me pictures. 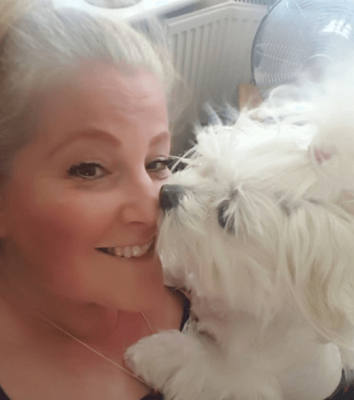 He slept with her and her dogs who seemed to love him as well, i think they realised he was a baby, I have no trouble at all in recommending Debbie and Tiny Paws Pad she is like Dr Dolittle of the dog world and they really really love her.